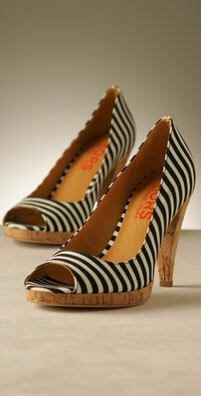 Why: Because we’ve discovered some great finds for less than $150 each, like these nautically inspired, striped KORS Dubois peep-toe pumps (once $195, now $97). They’re perfect paired with this Diane von Furstenberg Eyelet Bellette Wrap Dress (unfortunately, not so cheap, but still reduced from $465 to $232). We also spotted this 100 percent cashmere YAYA Kimono Sweater knocked down from $365 to $110, this comfortable yet stylish C&C California Gazella Dress for only $59, and this 100 percent silk, empire waist Karanina Mimosa Dress for just $138. * Get a DuWop Gift with Purchase at eLUXURY.com. * Things Remembered: Save 20% on orders over $125. Use code: DADNGRAD20. * Silhouettes: Shop and Take 15% off your $125 order. Use promo code AFF7PC5.